1. The COE and DEQ will discuss internally and advise on the appropriate permit process for the modification and extension request. 2. The City/Consultant will reconnect w/COE and DEQ the week of April 9th for direction and clarity on the process. 3. The City/Consultant will expand efforts on the permit modification/extension and incorporate COE/DEQ input, as appropriate, for the next submission. Scharlene Floyd of the COE issued a permit extension on March 30, 2018 to extend the permit effective through May 13, 2022. 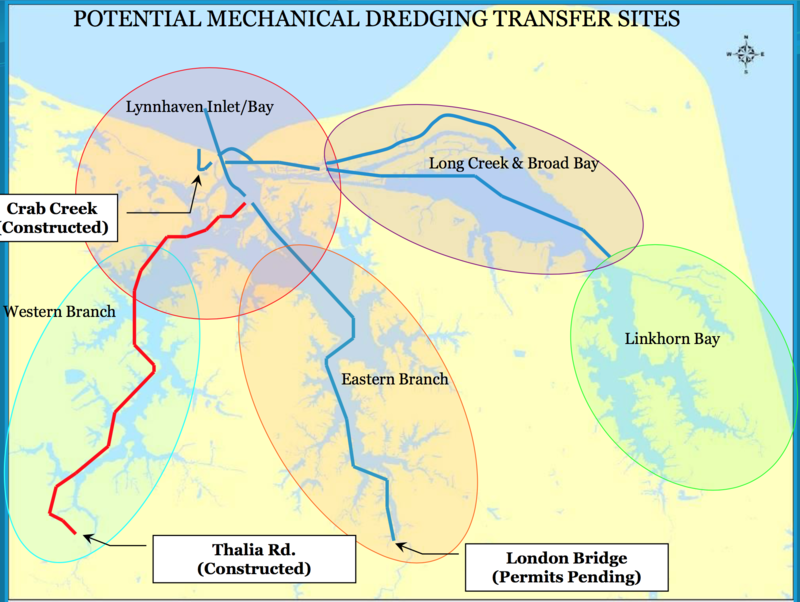 Proposed bubble around “Crab Creek” illustrating which neighborhoods’ dredge spoils might come from.